End your year with a BANG! The most anticipated creative arts festival, Urbanscapes is back! 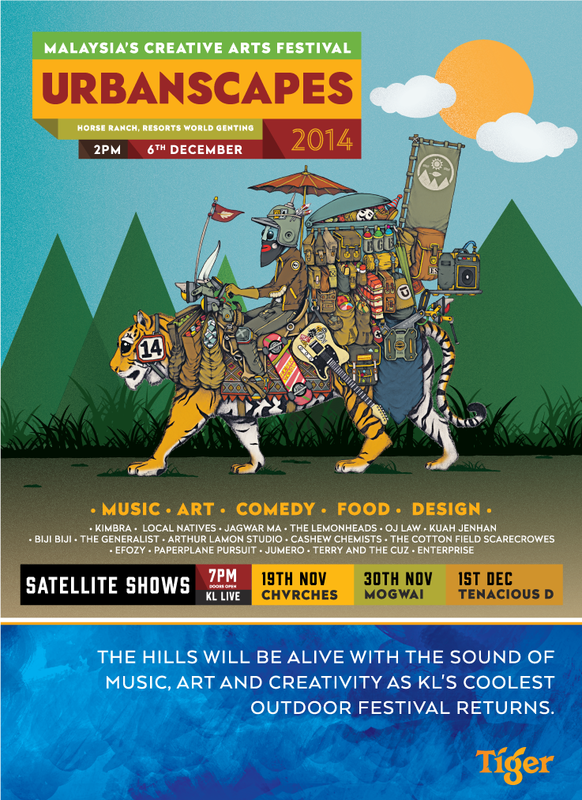 The city’s all-day creative arts festival will take place on 6 December at the Horse Ranch, Resorts World Genting! Aimed to be the cooler festival, this year they are back with 24 amazing performers! Isn’t that exciting? OF COURSE IT IS! 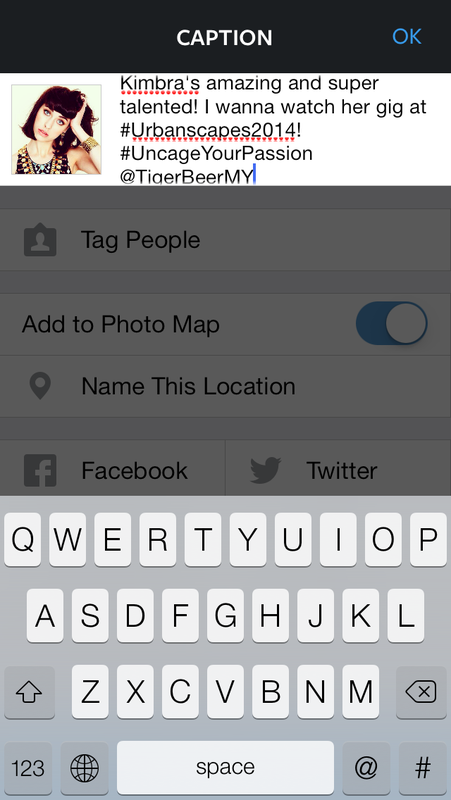 1) Upload an image of your favourite artist from the Urbanscapes 2014′s line-up to your Instagram account. 2) Tell us why you picked the artist. 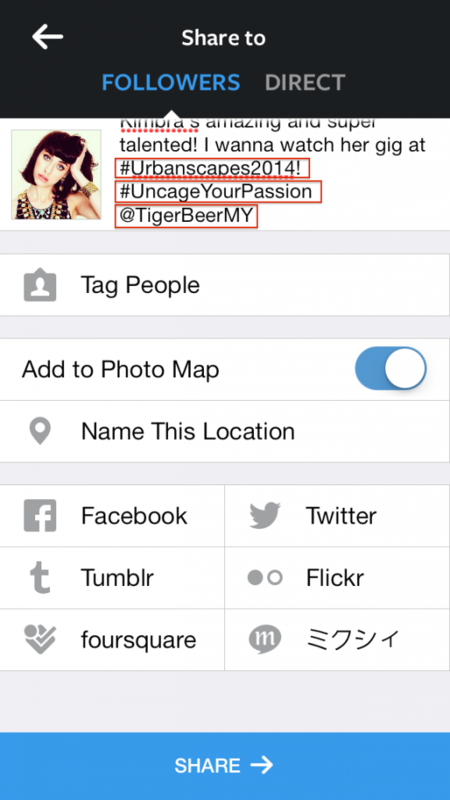 3) Include the hashtags #Urbanscapes2014 and #UncageYourPassion and tag @TigerBeerMy as well! Snap and upload a photo of your favourite artist from the Urbanscapes 2014′s line-up. Make sure you write down your reason why you picked him/her/them. Tag @TigerBeerMy and hashtag #Urbanscapes2014 and #UncageYourPassion in your caption, then share the post! 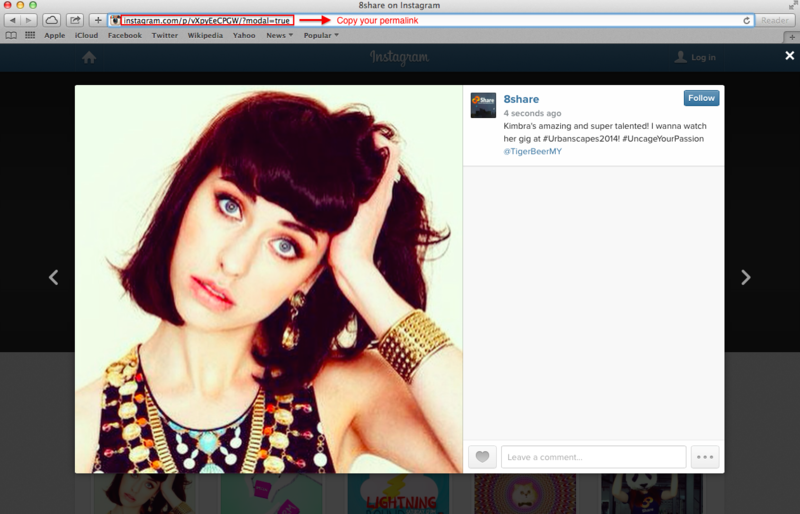 Go to your Instagram page via Instagram.com, open your #Urbanscapes2014 post and copy the permalink. 5 Best Entries will win 1 pair of tickets to Main Festival of Urbanscapes 2014. Free tickets yo! Don’t miss your chance! Create your best entries NOW and we wish you best of luck! This contest is only open to 8Share members, Non-Muslim and age above 18 years old. 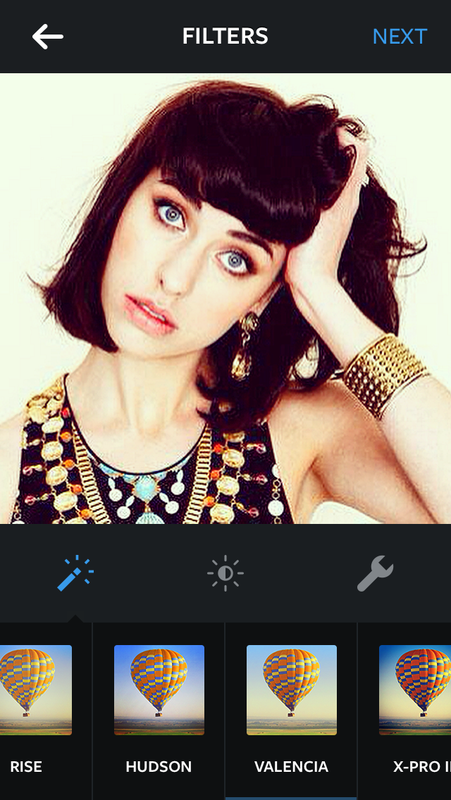 This contest will run on Instagram only. This contest will ends at 11.59PM, on Wednesday (26th of November 2014). The winners will be announced at this blog and notified by email, Twitter or Instagram within 28 days of the closing date. If the winner cannot be contacted or do not claim the prize within 7 days of notification, we reserve the right to withdraw the prize from the winner and pick a replacement winner.